European governments will need to take a big leap of faith to embrace a defense doctrine led by France. “A sovereign, united, democratic Europe.” This is the vision French President Emmanuel Macron outlined in a landmark speech on September 26, at the Sorbonne in Paris. Calling for a more united and democratic EU is not new. However, for a leader from a major country to passionately assert that European integration reinforces national sovereignty, rather than diminish it, is refreshing. The last decade has been difficult for the EU, considering the combination of economic and security crises, alongside the 2016 UK decision to leave the Union and the rise of Euroskepticism across Europe. Even so, “We forgot that we are Brussels . . . Only Europe can give us some capacity for action in today’s world,” Macron declared. He bolstered his bold vision with a breathless list of policy proposals, including on European defense. 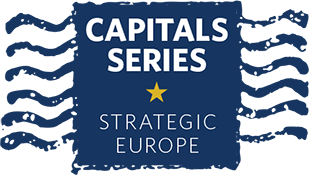 Macron’s defense vision seems to draw less on traditional French strategic ideology, or a teleological idea of European integration, and more on the urgent strategic necessity for Europeans to work together infused with a strong sense of political opportunity. Macron’s main military objective is to enable Europeans to act autonomously when needed, complementing NATO’s territorial defense role with a European capacity to intervene abroad, particularly to the south of Europe. He wants EU governments to quickly implement recently agreed initiatives, such as the European Defense Fund and Permanent Structured Cooperation. He would like national armies to be open to soldiers from across the EU, similar to an idea also contained in Germany’s 2016 Security White Paper. And Macron has three other headline proposals: establishing a common intervention force, a common defense budget, and a common doctrine for action. No doubt, some defense buffs will dismiss these ideas as vintage French wine in new European bottles. For example, the 25-year-old Eurocorps—a type of common military force based in Strasbourg in which ten countries participate—has sparingly been used. Similarly, EU battle groups, small multinational intervention units on standby since 2007, have never been deployed. But perhaps the skeptics underestimate the convergence of three factors. First, the French have added water to their wine since rejoining the NATO military command in 2009—meaning that any remnants of anti-NATO ideology have been superseded by a sharp focus on whatever works best militarily. Second, although some may disagree, Macron argues that the United States is slowly disengaging from European security just when that strategic environment is becoming more difficult. Europeans will have to take more responsibility for their own security, and they are condemned to cooperate since no one country can cope alone. Third, French leadership on security combined with German leadership on economics can reboot the Franco-German political engine, which is indispensable for driving the EU forward. Macron wishes to sign an updated Élysée Treaty with the new German government in January 2018, even though it may take until then for the new German coalition partners to agree on their program for government. Macron’s proposals for a common military force and defense budget are likely to generate more headlines than his idea of a shared military doctrine. This is because they sound like the European army idea so beloved by some federalist politicians (and so loathed by some Euroskeptics). In fact, his proposals are more akin in spirit to building a de facto military alliance from the bottom-up, which would encompass many forms of intergovernmental military cooperation, than establishing a top-down federal EU army directed by the institutions in Brussels. Most EU governments are instinctively Atlanticist on military matters. Macron wants to strengthen their European intuition. However, developing an effective shared military doctrine could prove much more difficult than establishing a joint force or common budget. For one, an effective military doctrine should help armed forces to plan, train, and operate together, drawing on a clear worldview and an assessment of threats and capabilities. Ideally, military doctrines orient armed forces for successfully coping with future contingencies. No small task. For another, developing a national doctrine involves a host of actors, from ministries and armed forces. Combining the disparate perspectives of EU governments is even more challenging. Because of their very different strategic cultures, the danger is that EU governments would produce a dysfunctional doctrine in practice. For instance, the glaring gap between French and German attitudes to military interventions abroad is well documented. To his credit, Macron acknowledged how difficult this would be, and that he has no red lines, “only horizons.” Similar to U.S. leadership at NATO, however, one solution would be for France—which will be the EU’s leading military power by some distance after the UK leaves the Union—to be the deutschmark of European defense. But will the next German government, not to mention others, let France set the military standard for such an exercise? That’s a very big question. Counterintuitively perhaps, the departing UK should consider becoming one of Macron’s strongest allies on European defense. London will no longer block EU military initiatives, and its recent position paper on defense post-Brexit made clear that it wishes to keep a very close relationship with the EU on military matters, including being prepared to contribute to operations. Paris would be wise to support London’s desire for continued close engagement, since British strategic culture is closest to that of the French. Even after leaving, the UK will remain very influential with other EU governments on defense, including—but not only—at NATO, and in ways that could help French leadership. In turn, the UK would be wise to support French proposals, since raising European military standards would benefit NATO too. An EU-UK agreement on military cooperation post-Brexit can only happen after more progress on the current withdrawal agreement impasse. Nonetheless, the added bonus of a quick and fruitful accord on military cooperation is that it could encourage a more constructive atmosphere for the broader negotiations on the UK’s relationship with the EU after Brexit. In other words, if Macron’s bold vision is to be realized, other EU governments—you know who they are—will have to become less doctrinaire on defense. Moreover, they will need to take a big leap of faith to embrace a European defense doctrine led by France. I don't see any way to develop a "common military doctrine" at this point. Such doctrines mesh closely with political cultures and societal attitudes, not to mention that France is the sole lone voice of internationalist interventionism in the EU. Since most nations view their armed forces in a very different lught (namely as home-defense militaries) and also don't have an outward-looking interventionist political culture and tradition this is but the old french wine of 1999 CSDP in new bottles. And just like CSDP this will be a stillborn as Germany isn't going to play ball and most other nations have vastly different priorities. What I can possibly see emerge is a EU army that is seperate from, and operates above the member states with its own budget, comnand structure etc. move money around from other EU projects like the common agricultural policy and give it a combined budget of 1% of EU GDP (€140-€160 billion) with its own ability to recruit soldiers,buy equipment , and establish bases. Even such a modest investment and pooling of resources would already give this army a larger budget than any single EU member state. But who will command this army Who will be able to launch nuclear weapons and declare war ? The EU & it's constituents are a party to the Non proliferation treaty on Nuclear Weapons so it is impossible to oppose Iran, North Korea etc having WMD's whilst simply saying we can have them because we are better than they are. The Only EU country with Nukes will be France & will they hand the launch codes to a country that may wish to use them to say keep Russia out of their country even though they are several thousand miles away from Paris? I don't think so. This VISION: The ONE President Emmanuel MACRON, of the Republic of France, HELDS, is the most reasonable EVER: Could Europe, a Really UNITED EUROPE want or even WISH to go on prospering and Keeping its RANK as an Economic Power: Np Many Choices but Have a Strong and Straight Way of doing ITS ACTIONS, Building a COMMON POLICY, very clearlt Readable, Which can be Coordinated, and HAVE a Common Defence View! Will the French Président be FOLLOWED by the Other Heads of States and Government? This is the CORE, Most Preoccupying ISSUE: that It's a LIFE or DEATH QUESTION for a EUROPE with British no more a Member State of yesterday's European Union, which was stronger, and with the Russians and other Powers... on its Doorstand, KNOCKING or THREATENING to OVERTAKE EUROPE, currently: The EU and Schengen Zone, EURO Zone and a Real Efficient Border CONTROL Policy, even with a "Federal" Size, is so VITAL FOR EUROPE as a WAY of Making its Path Through, The WAY FORWARD. Just an opinion: MINE! A sharp dose of reality is needed here. For decades France has been trying to get other European nations to subsidize its protected defense industries and to provide troops to support French military operations in Africa; both without much success. What naive academics might think of as a bold initiative to take Europe forward will likely be received very differently by other EU members. The landmark speech could be summarized simply: “L’Europe, Unie ou Finie!” It is a great speech, a Sorbonne level speech given by a fine connoisseur of Europe’s history for a thousand years. It is rare to see this level of understanding, this capacity to project the past into the future and make clear determinations of what needs to be done for Europe to survive. Macron is correct: Europe needs a plan for further integration, only way to be relevant in the future, with the rise of new super hyper powers in the East. It is not going to be easy, and it will most likely fall prey to local politics, it already did with Brexit (although Macron hopes they will eventually correct this error). Strictly in terms of defense he is right to emphasize that in today’s world the EU needs to have a coherent defense policy, but how this will be aligned with NATO remains to be seen. NATO is still at war in Afghanistan, graveyard of Empires, Global Hegemon Republics and military alliances; there is no mention of this obvious fact. Macron makes some serious mistakes, difficult to accept: “un désengagement progressif et inéluctable des Etats-Unis” – US progressive and inexorable security disengagement (not how it is interpreted by Keohane), it is simply not true. The Obama administration has spent on ERI around $4 billion, now upgraded to $4.1 billion in 2018, Macron’s statement is simply unacceptable for any US taxpayer. Deveselu ABM (protecting against Iran), navy, air force, armored battalions, MAD, whatever we give is never enough. The EU, the wealthiest, largest entity in human history needs our children to borrow and spend more for her protection against Russia, whose military budget is an accounting errors compared to that of the NATO EU members. Also, making this new united EU/Euro zone an economic power competing with China/US (“une puissance économique concurrente de la Chine et des Etats-Unis”) ignores the newly expanded SCO (not just China and Russia, now with India, Pakistan, possibly Turkey, later Iran). He is right to ask the EU youth to be far more entrepreneurial (not mentioning that they don’t have $1.5 trillion in student debt, and breaking a leg will not bankrupt them). What is not right is calling “numerique” the revolution in which they compete, it is digital and this one is lost. The next ones, quantum computing, AI (Academie Francaise, please don’t call it “artificiel”) is now open; the new EU members should focus their educational systems in the direction. A weak, economically, France can not have strong defensive capability in the long run. Therefore, nobody would take Macron's dreams into serious consideration. Rest assure, that no single European state (however strong it appears to be now) can single-handedly face globalization – or in other words compete (economically or defensively) - with an aspiring China and India, an imperious Putin an insecure Erdogan and an utterly chaotic Middle East - which we are partly historically passively responsible for. Most Europeans are oblivious to the fact that Britain, France or even Germany are (or will be shortly) sort of irrelevant on a global scale without the mass and momentum of the "Team EU". Macron forecasts, recognizes and balances out a very sensible and viable strategy for common defense and thus prosperity for European democracy and ideals. What a dangerous little weasel this man is , scary EU meat puppet that came from no where and I hope he disappears back there soon. Macron is delusional, he should change pusher. This is just a promotion stunt, it reminds me De Gaulle in the '60 when France left NATO to have its own force de frappe. I have no recollection of what happened of such a project. Well as of today France still has foreign mercenaries, Foreign Legion, for its military needs. Then the question is who is going to command the hypothetical army, France or Germany, or are they going to start a war to decide. Financially is France capable to have a budget for the new army considering the unrest and riots across the country. The only reason behind this project is to force European countries to buy army hardware from France. I think one little Napoleon is more than enough, there is not need for a clone. My suggestion to Mr Macron is to take his old lady for walk in the park. NOBODY shall mimimize President Macron's VISION: A Europe without Force is a Weak Entity. An Economy as HUGE as Europe Ought To Have its Own Defence, either "federating" or MultiState; but a DEFENSE! The French President is right but so many European Leaders Don't Feel nor Think it's TIME to talk about that Vision which is doomed to be Late...Too Late at a certain TIME.